Savnit’s bridal trousseau included striking ensembles from established and emerging designers which made her look distinct at all functions. For someone who has been dreaming about getting married since she was 10 years old, Savnit knew she wanted her wedding ensembles to be unique. 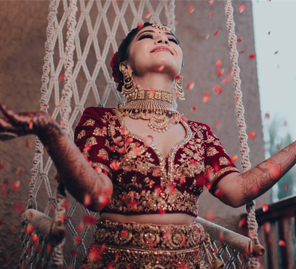 For her big day, she showcased her excellent taste and fun personality in a delightful range of bridal wear from established and eclectic brands. Here, she shares some of her favorite looks from the wedding at Courtyard by Marriott Agra. “Rahul and I belong to Lucknow, UP. I was working as a fashion stylist in New Delhi and Mumbai when I met Rahul last year. After our initial meeting, things progressed quickly between us, and we decided to get married. I’m a wedding enthusiast by birth and have been dreaming about my nuptials since I was ten years old." 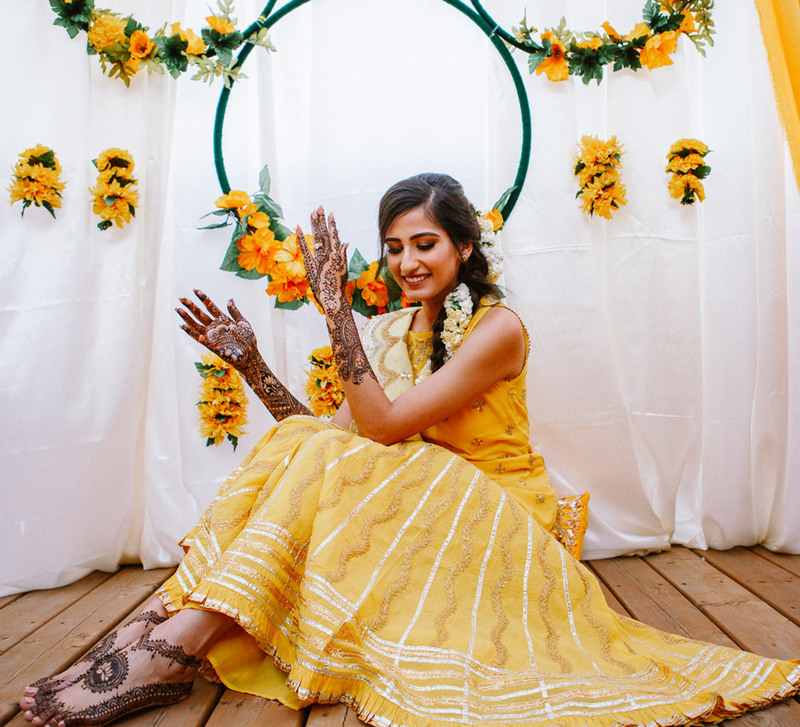 “Our mehndi was a very simple lunch affair for which I wore a Kiran Uttam Ghosh saree and kept my makeup minimal. Charming rustic decor elements added a traditional vibe to the event." “This one is straight out of my scrapbook! I chose a golden Shantanu & Nikhil gown. This function was everything I had envisioned as a little girl. An abundance of flowers and glowing gold lights added an ethereal touch to the evening. The decor at the event was truly mesmerizing, and we succeeded in keeping it in sync with our looks for this function." The setting for the wedding was breathtaking. The color scheme for the decor was red and white with a touch of gold. Majestic floral arrangements were a prominent part of the setup. 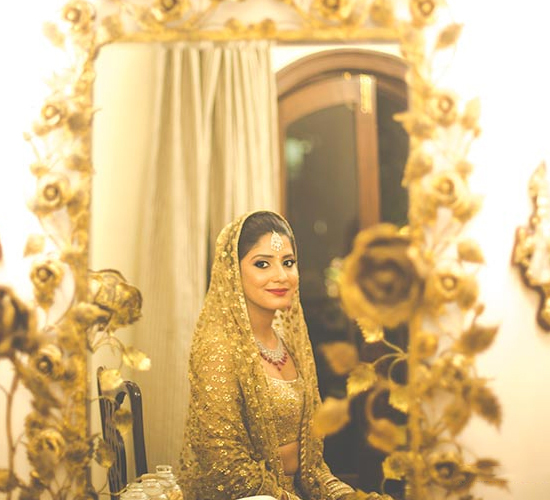 Savnit shares, “I had a déjà vu moment when I saw my wedding lehenga for the first time at Sulakshana Monga’s showroom. It was love at first sight! I never wanted anything too loud yet wanted to make a statement with a touch of classic elements. For the wedding, I was clear that I wanted a simple makeup look and opted for a no-color look."